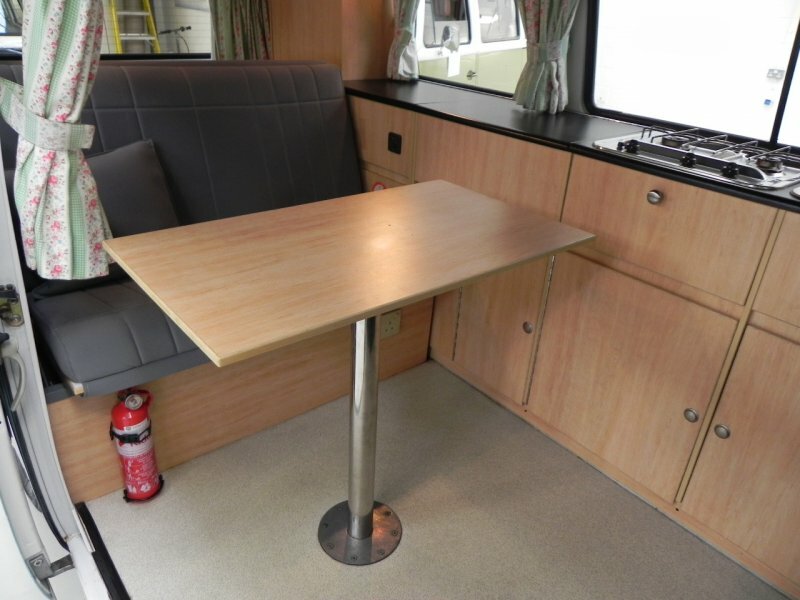 We have just taken this well priced Danbury Rio into stock..
4 berth with pop top roof, RHD, 1600cc Petrol engine, ready to go.. 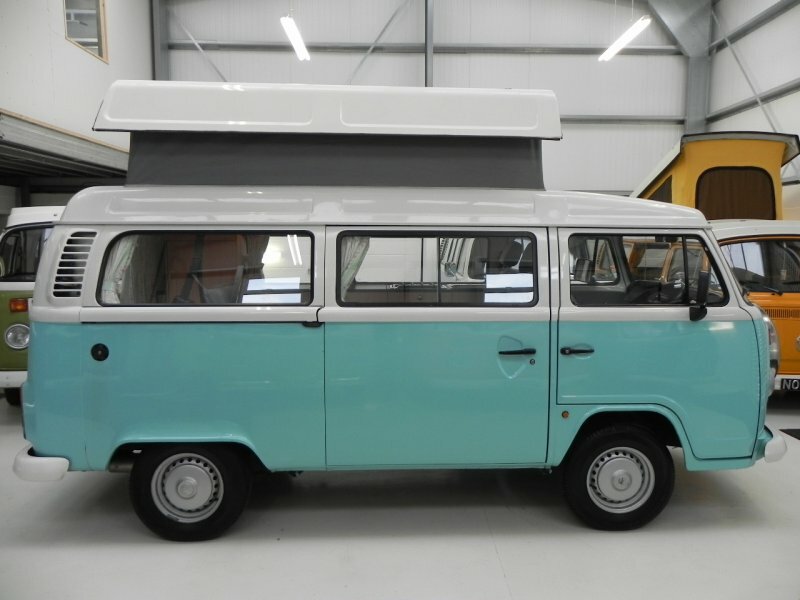 Exterior: Lovely Turquoise paint work and colour coded tire cover.. 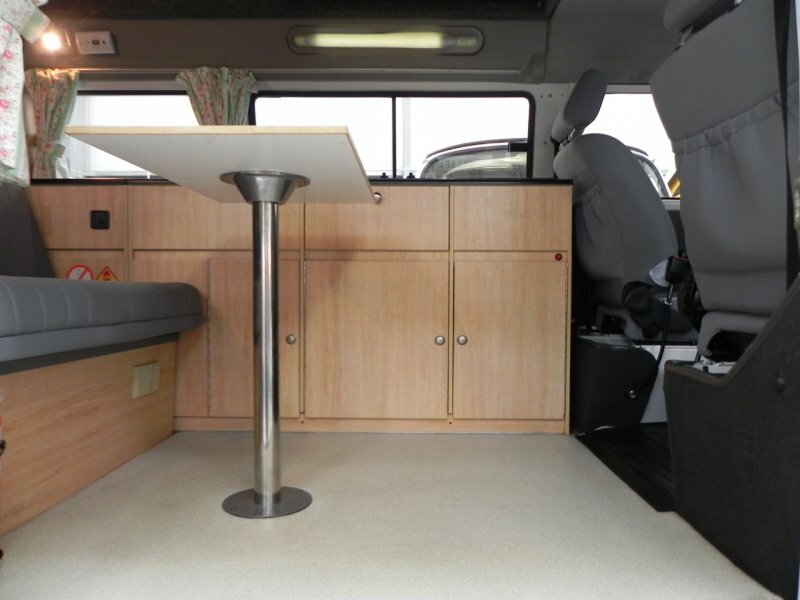 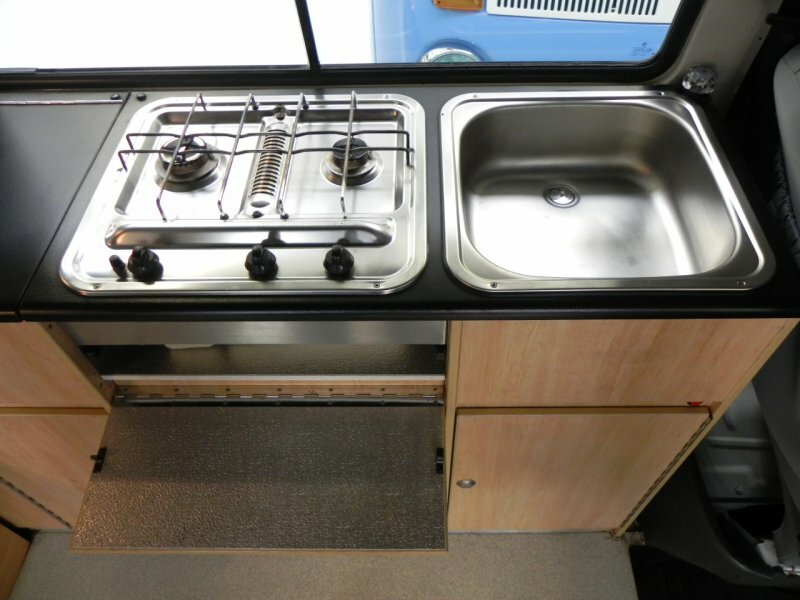 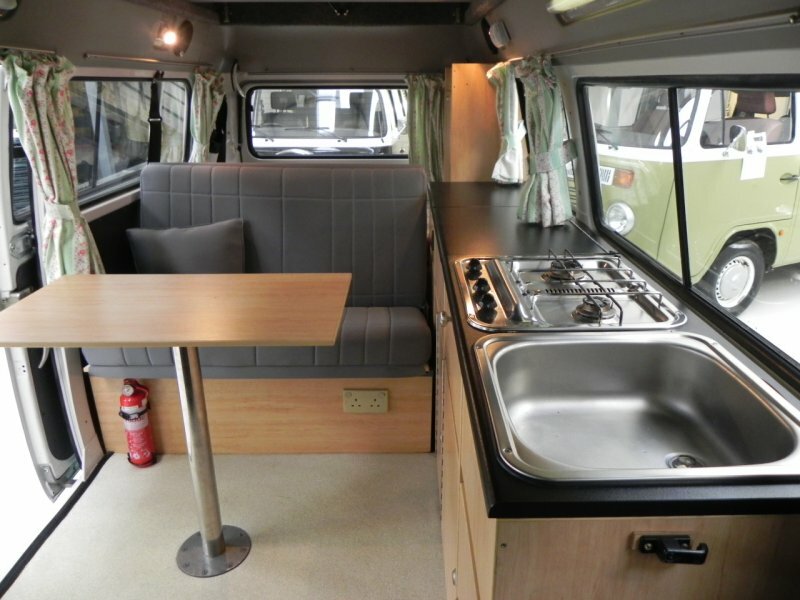 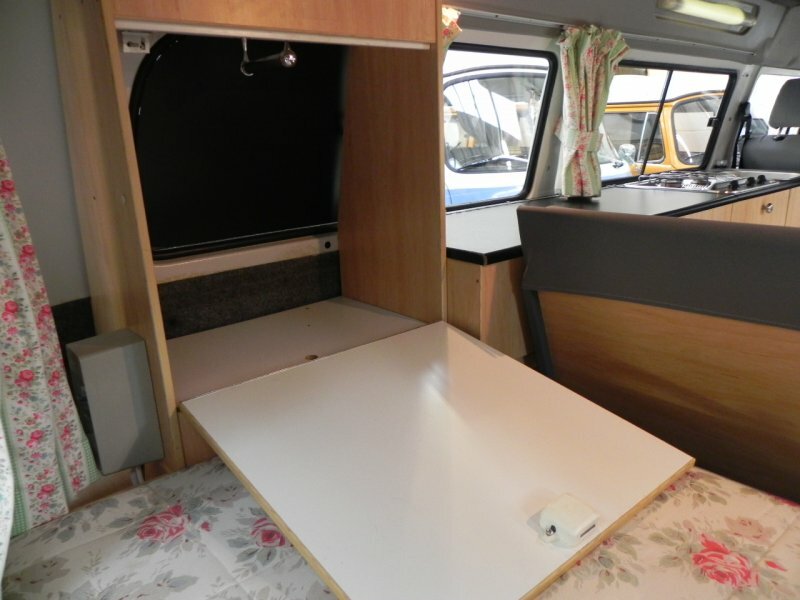 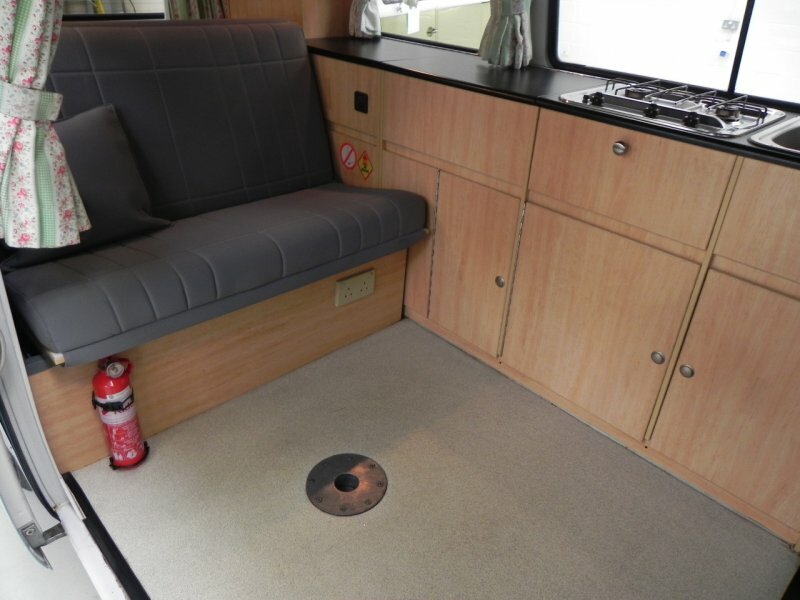 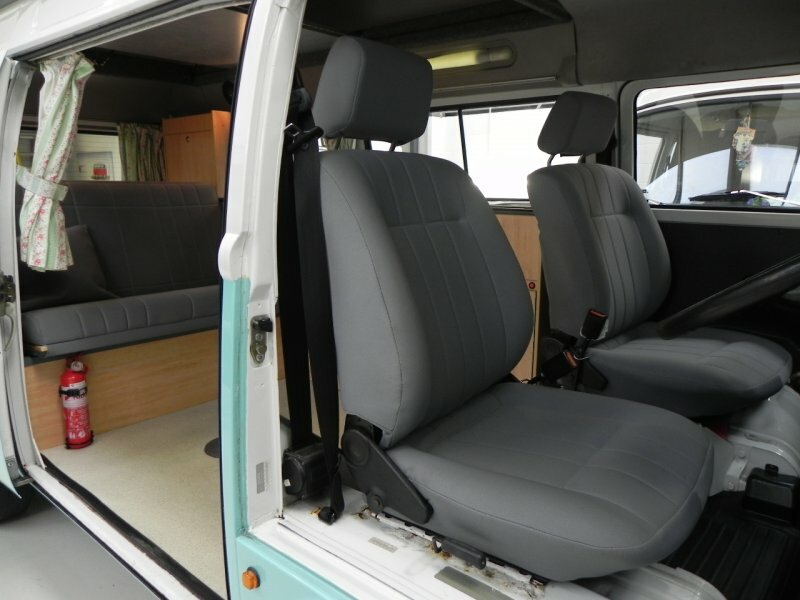 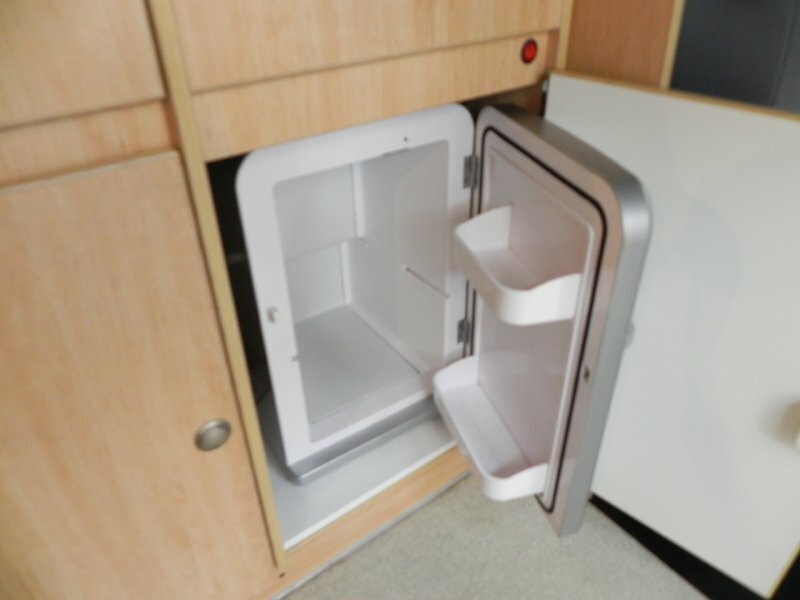 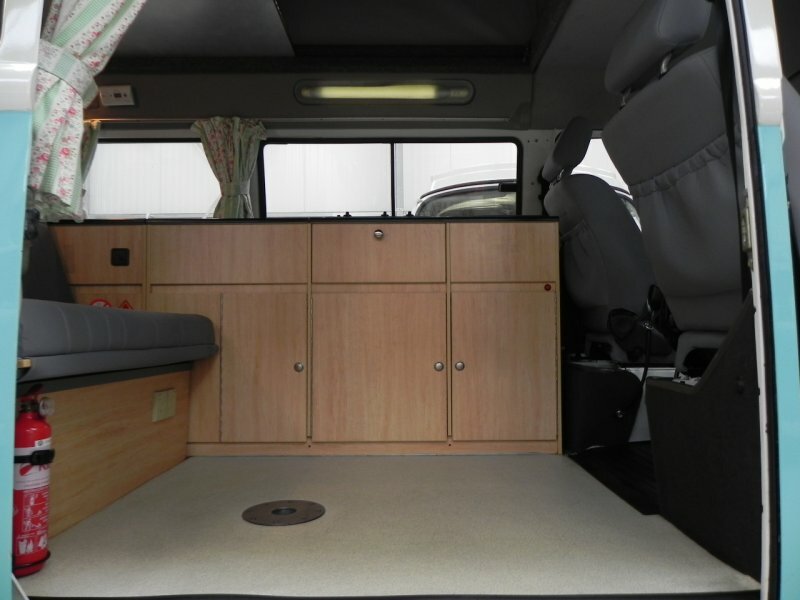 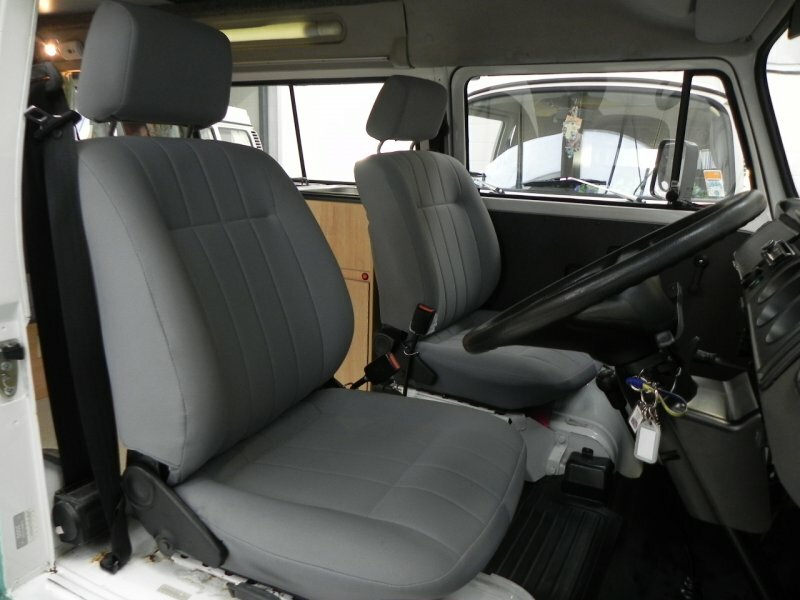 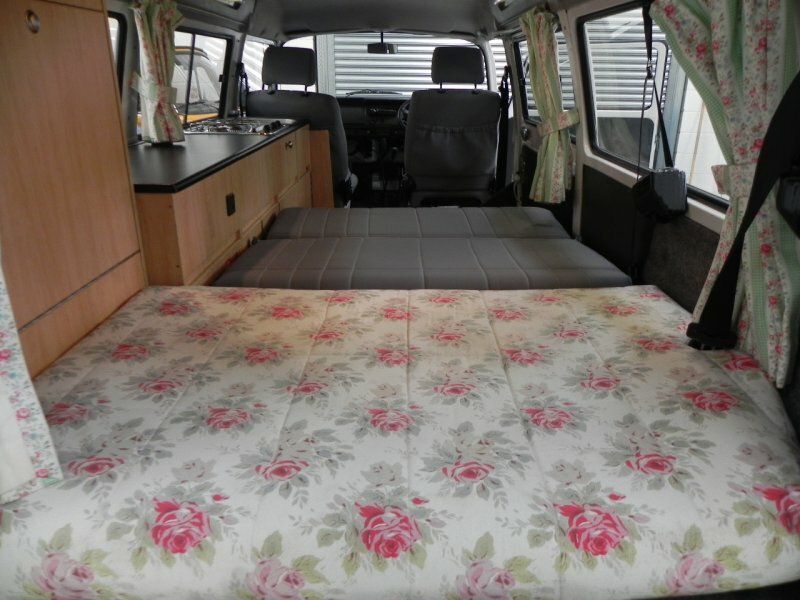 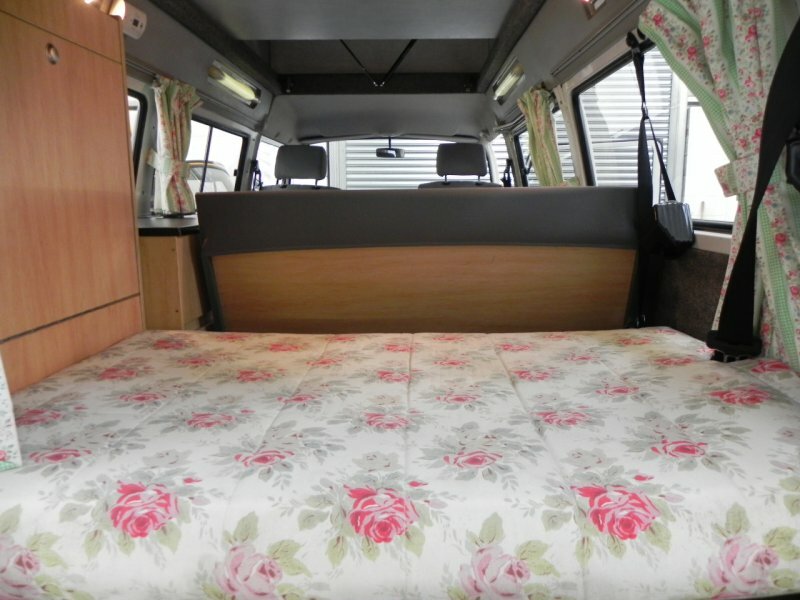 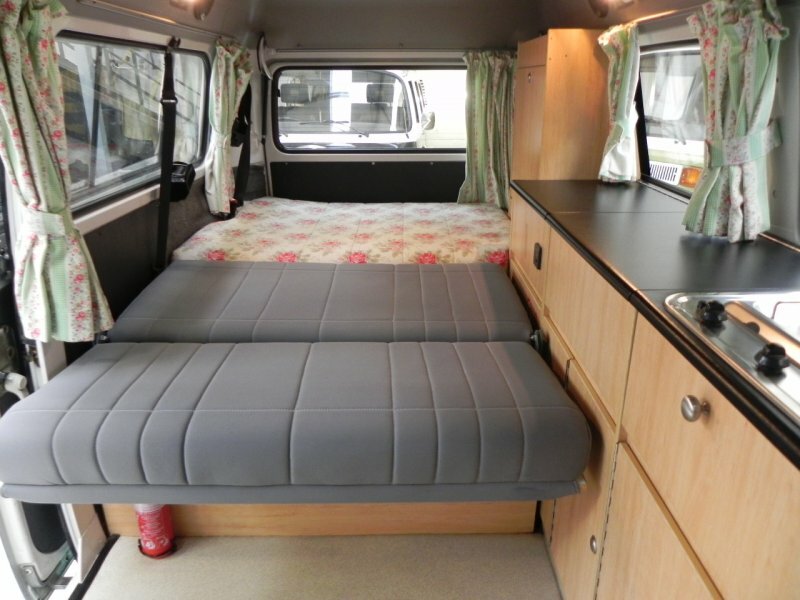 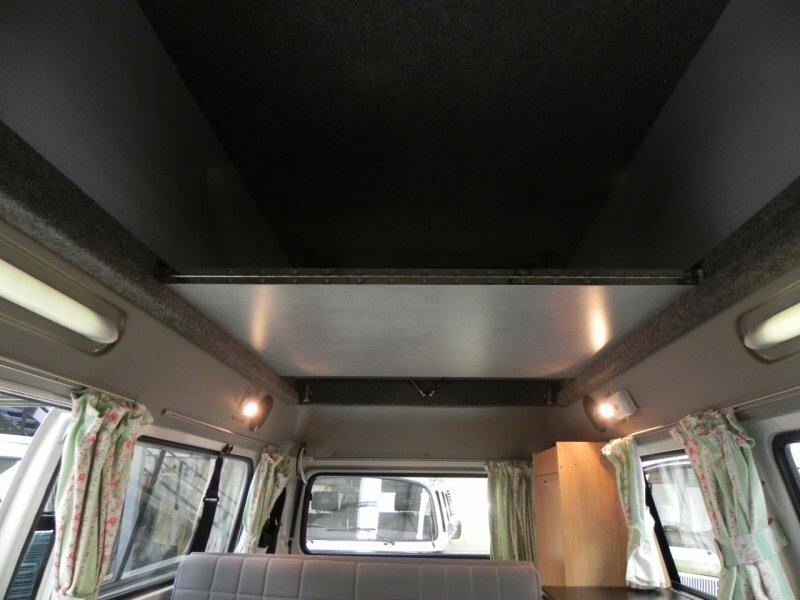 Interior: Rio layout so units down the length of the camper van, sink with pumped water, compressor fridge , double hob and grill, plenty of storage space the al important buddy seat with side section, this could double up as storage or porta porti holder, vinyl flooring, 240v hook up, leisure battery with charge system, spot light and strip lights, upper bed board and mattress, new upholstery all around, front heating system, iPod head unit with 4 speakers. 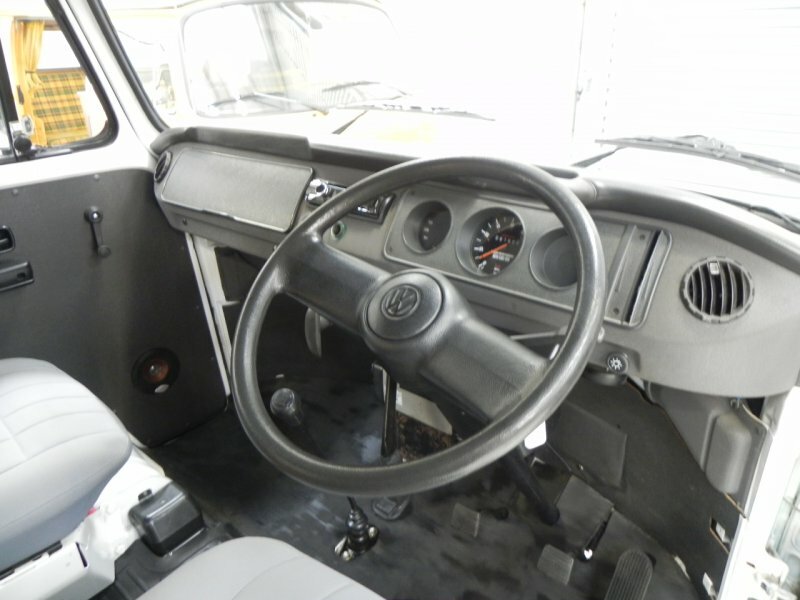 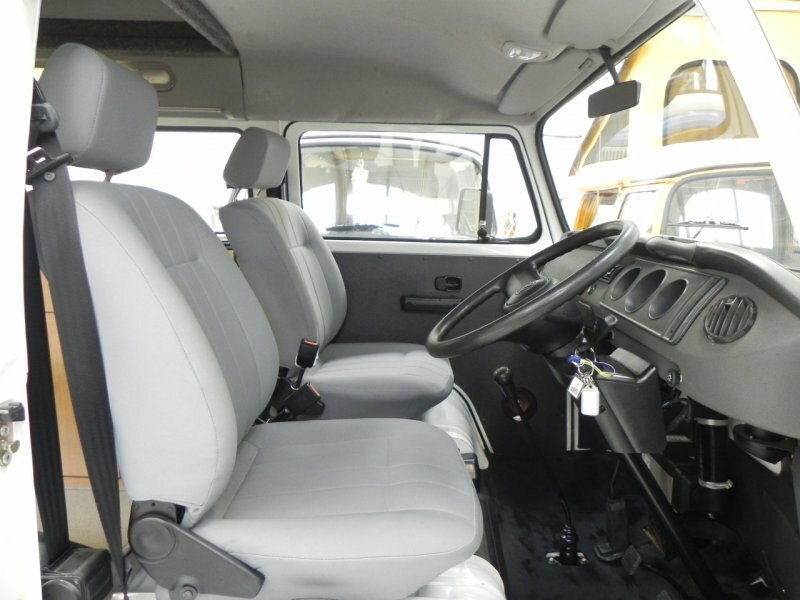 Mechanics, well maintained with new gear box, wax oiled, drives very well! 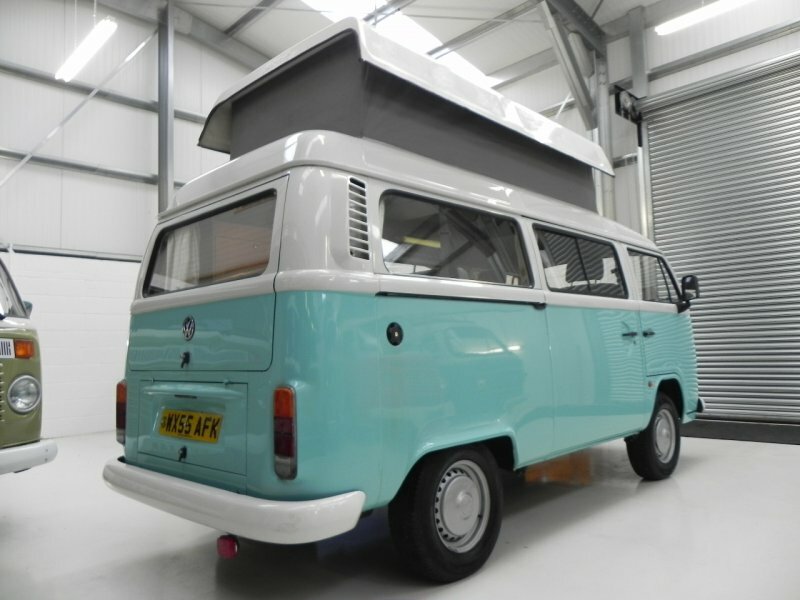 Will be sold with a 12 months MOT, Minor service, full PDI check over, full valet, touch in and detail, sold with 3 months parts and labour warranty. 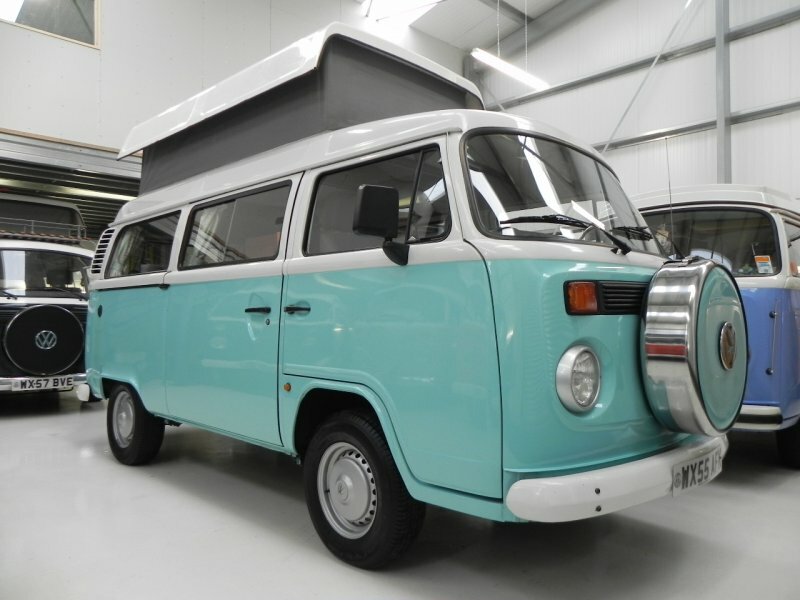 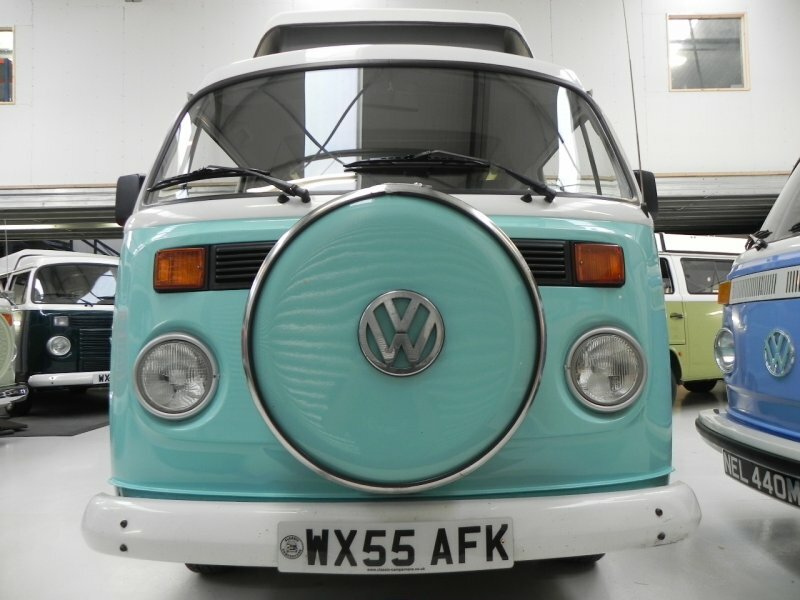 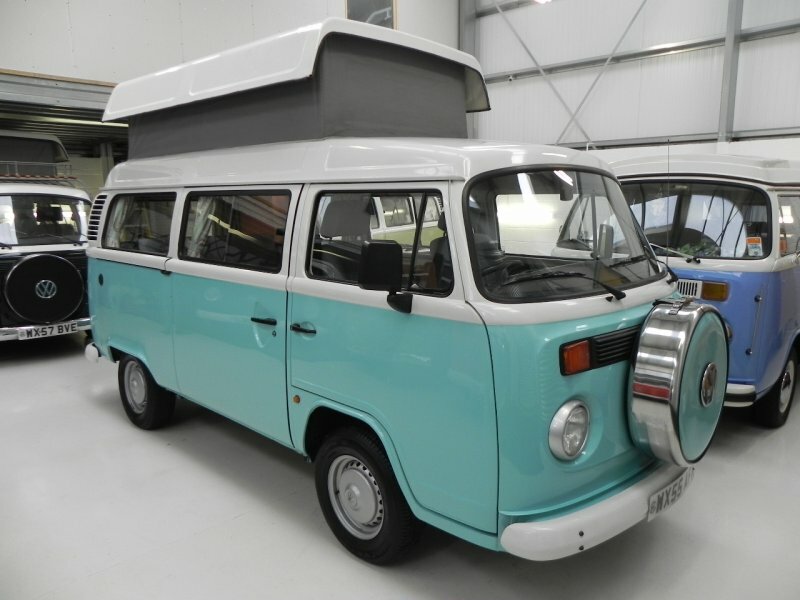 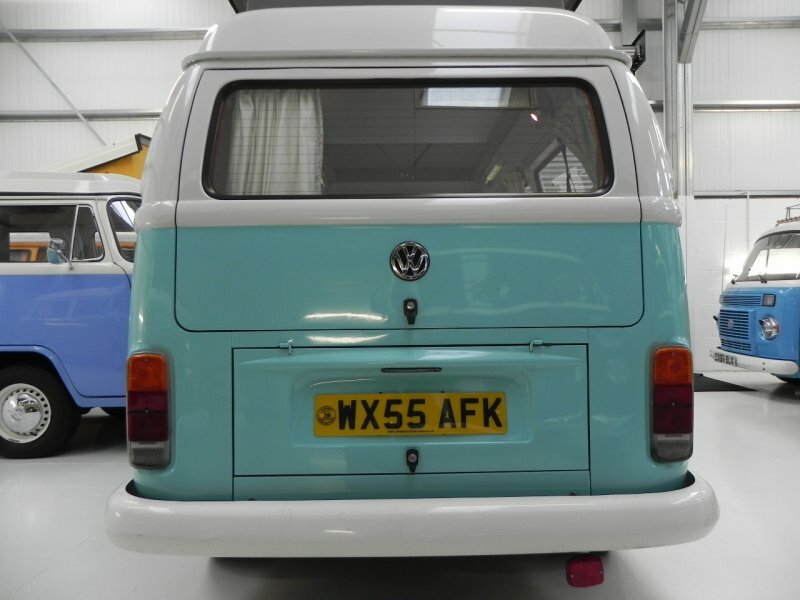 Finance available…, email ian@vwkampers.co.uk for more details. 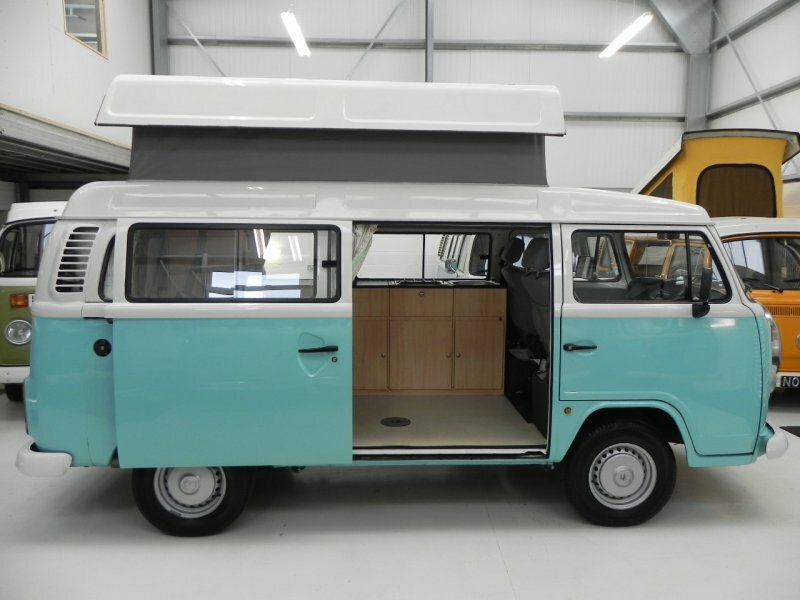 Please call for full details on this camper.